We are so impressed by the quality and style of these folding knives we decided to add them to our product line. 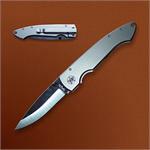 These folding knives are beautifully designed and presented in a handsome gift box. Precision Cutting Tool… Ideal for use in the field for skinning and dressing game. Excellent for straight cuts of fruits, vegetables, boneless meats, paper and rope. Ceramic is one of the hardest materials known - second only to a diamond! The edge lasts for years without dulling. 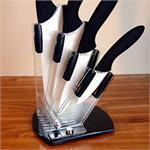 Naturally anti-bacterials and perfect for slicing fruits, vegetables and bonless meats.